Plain and simple, the majority of us have a lot of stuff, too much stuff if we are being entirely honest. On the other hand, it normally isn’t until we decide to pack up all of these belongings that this inherent truth hits us. If you are planning a move and you haven’t yet reached the panicked state of realizing how much stuff you actually have to relocate, let’s just think about this together for a few minutes. Do you have old holiday decorations stacked to the ceiling in your attic? What about all of the camping gear you have stored in your garage or shed? Oh yeah, and then there are all of the articles of clothing that you haven’t worn in a year but are still somehow occupying your closet and much more. Okay, okay, we aren’t trying to give you a panic attack. We know how stressful a move can be and that is precisely why we are writing this blog to help you. If you want to get rid of some of the stress, you’re going to have to cut down on what you own. Continue reading below if you want to know how you can get rid of the things you don’t need and make your move way easier. One of the reasons people find it so incredibly difficult to declutter has everything to do with the emotions or memories that are tied to certain belongings. Additionally, owning many things is a way in which people feel secure in their life. In other words, if you have a lot of stuff, it will be that much harder for them to have nothing. Being able to acknowledge that these items hold meaning beyond what their actual use is will help you to begin to let go of the items you don’t need. Being able to sort your stuff effectively is a very important part of getting rid of unneeded items. You should set some rules when you are going through your belongings that will make it easy for you to distinguish what you need and what you don’t. One of the most common ways people separate their must-haves from their clutter is to ask themselves whether or not a certain item “sparks joy” in them. This idea comes from the book, The Life Changing Magic of Tidying Up, by Marie Kondo. The premise is of the entire book is that you can be much happier if you are only willing to separate yourself from your physical belongings. Plain and simple, when it comes to moving homes, the more things you own, the more difficult the move is going to be. Packing will take more time, loading up the U-haul will take more time, as will unpacking and moving your things into your new space. If you want to put in a minimal amount of work, you’re going to need to have the minimal amount of stuff. We know that decluttering on its own can be an extremely overwhelming task. When you pile moving on top of it, it becomes extremely easy for you to begin thinking the entire process is an impossible one. However, when you approach this job from a practical standpoint, it might not seem so bad. Your first step should be to get rid of the easy things first. This should be things like getting rid of old mail that has stacked up, or even sorting through a laundry basket of old clothing for an hour or two. Starting the process of removing things from your life will prepare you to get rid of things you may have otherwise held onto in the past. Overwhelmed By Your Move Already? 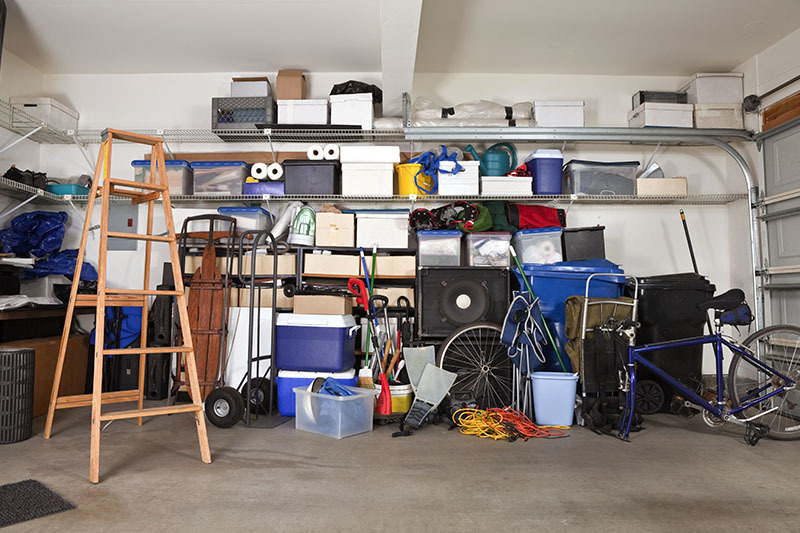 If decluttering your home is already more than you want to deal with, you certainly aren’t going to want to make the move on your own. If you are in the Virginia Beach area and you need the helping hands of a professional moving company, Scott’s Oceana Moving is here for you. Contact us today to learn more about our services and prices!